Thus, I will stick with the topic because it may encourage readers to take up some suggestions. After all, it feels good to be Yourself, especially when you realize that, as was mentioned in the previous post, we were born inspiring! There is massive proof of this, when you think of babies early in their lives. Born into Chiropractic family, naturally young Bill thought his Purpose In Life was Chiropractic, so after graduation, his inspiration became famous. Moreover, he began to attend his Alma Mater’s Lyceum annually as an inspiring speaker. 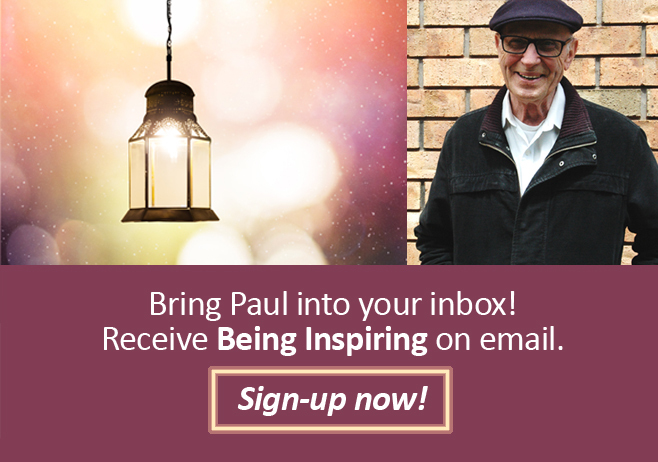 However, Bill was introduced to the Emissaries by his uncle on Sunrise Ranch, and eventually he became a faculty member among other inspiring teachers on Sunrise Ranch, (mentioned in “About Paul Blythe” on this Blog’s home page). Thank you for this post. I wanted to comment but the comments were closed. I remember vividly many object lessons that Bill taught. He was and is a great inspiration for me. 3. Thanks, Paul, for these recollections of Bill Bahan. I knew Bill, too, though not so well as you did. I knew his fire and zest. I knew his sense of purpose that was made all the more infectious by his great ability to communicate it. Interesting how a man now gone over three decades has such lasting impact in my heart and mind, in yours, and in many more. “I am life,” Bill would exult, “not just this physical body.” Indeed! So it is for all of us. This realization puts our brief time in form on earth in grand perspective. What a gift to receive and give! Greetings Paul I was just thinking about my first exposure to Bill Bahan. I was 17 , my parents asked me if I wanted to go to a symposium at a local hotel to hear this guy speak. I said sure. I remember the whole event quite clearly.Bill Pogue kicked off the proceedings by striding up to the podium with a pair of dark sunglasses .These come off today he said. Several speakers made made opening comments,Loyld Meeker and Joe Houlton and then Bill came on.I have to say I was quite taken.The experience I had was new but at the same time familiar. It seemed to me that the some 200 participants were having the same experience and the break periods were warm and friendly …no cocktails needed. Bill had a dramatic and exuberant style but of course it was more than that. Some time later I had occasion to listen to a video tape of Martin Cecil . My first thought was this guy is no Bill Bahan. He seemed slow and halting with none of the drama and panache of Bill. I could hardly have been more wrong of course. It didn’t take too long to realize that here was the hot smouldering core. Wonderful men. Of course, I remember Bill using the persian proverb but I am at a loss as to its origin! Thanks for remembering Elaine. I hope your special friend has recovered since we talked! I found the original on line but I think Bill refined the way it was worded. He who knows not and knows not that he knows not is asleep. Let him rest. He who knows not and knows that he knows not is awakening. Be a light to his dawn. He who knows and knows not that he knows is awake. Teach him. He who knows and knows that he knows is a wise man(or woman). Pay heed unto him (or her). Thanks, Paul, for these recollections of Bill Bahan. I knew Bill, too, though not so well as you did. I knew his fire and zest. I knew his sense of purpose that was made all the more infectious by his great ability to communicate it. Interesting how a man now gone over three decades has such lasting impact in my heart and mind, in yours, and in many more. “I am life,” Bill would exult, “not just this physical body.” Indeed! So it is for all of us. This realization puts our brief time in form on earth in grand perspective. What a gift to receive and give! I was just thinking about my first exposure to Bill Bahan. I was 17 , my parents asked me if I wanted to go to a symposium at a local hotel to hear this guy speak. I said sure. I remember the whole event quite clearly.Bill Pogue kicked off the proceedings by striding up to the podium with a pair of dark sunglasses .These come off today he said. Several speakers made made opening comments,Loyld Meeker and Joe Houlton and then Bill came on.I have to say I was quite taken.The experience I had was new but at the same time familiar.It seemed to me that the some 200 participants were having the same experience and the break periods were warm and friendly …no cocktails needed. Bill had a dramatic and exuberant style but of course it was more than that. Some time later I had occasion to listen to a video tape of Martin Cecil . My first thought was this guy is no Bill Bahan.He seemed slow and halting with none of the drama and panache of Bill. I could hardly have been more wrong of course. It didn’t take too long to realize that here was the hot smouldering core. Of course these others mentioned all loved Bill and loved by Bill. I hope those who wish to be inspiring will find encouragement because it is likely part of all our Purposes in Life! Previous Previous post: Being ON-Purpose Is Inspiring, Because We Were BORN INSPIRED! Next Next post: Honoring a video: THE POWER OF THE HEART, a DVD review.